The largest, continuously running casino in Las Vegas, El Cortez & Casino first opened in 1941 and is an authentic Vegas experience. Get the best of both worlds: classic Las Vegas and new Vegas. All rooms have been upgraded. The El Cortez’ cabana suites are South Beach-style boutiques with their own fitness center. Plus, enjoy live piano at The Parlour Bar & Lounge. 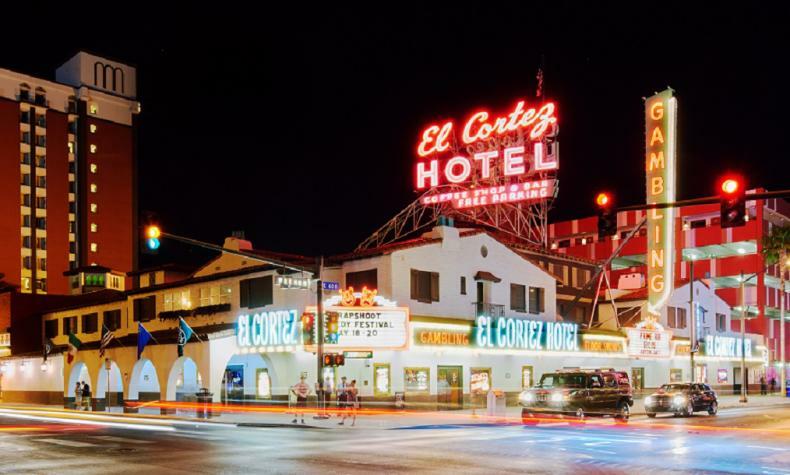 The authenticity of Downtown’s excitement, adventure and entertainment come together at El Cortez Hotel & Casino.